Every year, the team at highly respected independent tyre retailer Mopedreifen get together to test some of the very latest tyres – and with two new additions on the market in 2018, this year they decided to focus on the sport touring segment. 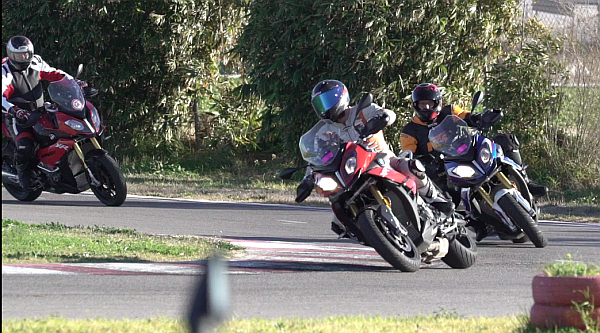 They sent their experienced test riders to Murcia, for a near 1,000 mile test on four BMW S1000XR bikes, with a short stint on track also thrown into the mix for good measure. Our class-leading ContiRoadAttack 3 was tested alongside Metzeler’s Roadtec 01, plus the new Bridgestone T31 and Michelin Road 5. Taking to the top step of four of six occasions, the ContiRoadAttack 3 is the clear winner, even beating this year’s big-brand newcomers. 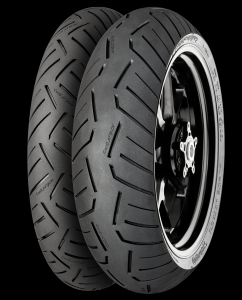 Rider confidence is instantly boosted by the presence of our unique Traction Skin Technology, which provides a micro-rough surface on the tyre for additional levels of grip from the very first mile. Easy Handling Technology also ensures that riders experience progressive, linear handling at all times – even when the tyre wears. For riders of heavy touring motorcycles, an enhanced ‘GT’ version is also available with a modified structure that copes perfectly with the additional stresses these bikes place on their tyres, especially at the front wheel. You can find out more about the ContiRoadAttack 3 here. This entry was posted in News and tagged BMW, ContiRoadAttack 3. Bookmark the permalink.